An Open Source Business Model, Can It Work? Throughout the duration of the iGEM competitions, we ended up talking to several different people who gave us perspective on the reality of making our project into a small business. This included Mike from INCUBATE, a start-up company designed from University of Sydney students specifically, offering mentoring and initial capital for your work. Whilst he encouraged us to seriously consider making our insulin, particularly Winsulin, a commercial product – the primary goal of the project was to make our work OpenSource like the iGEM registry. He did however provide some insight into the standard business model. With this goal in our mind – we approached entrepreneurship slightly differently, rather evaluating the success of an open-source insulin product. 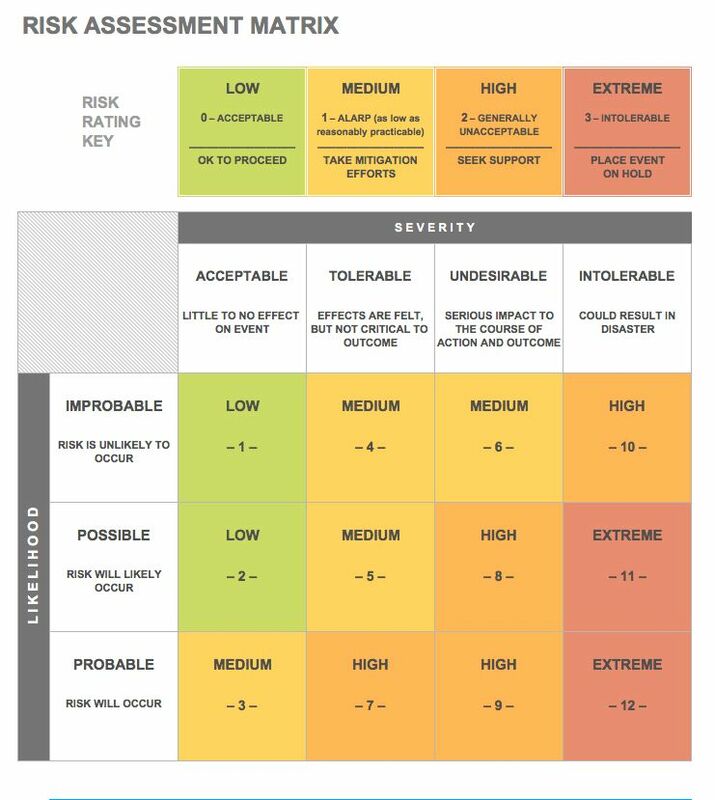 Our primary means of determining its viability was through an analysis of the advantages of an open-source model, and how the market could be used to provide leverage for breaking into the market. This analysis is closely paired with applied design where we considered current market solutions and their alternatives. .
Open-source research and development has revolutionized the technology sector and is quickly making its way into other markets, powered by its offers of new and unique ways to approach the monetisation of Intellectual Property (IP). The open source design and characterisation of genetic sequences for protein manufacturing is gaining popularity, especially as the advent of accessible methods of DNA synthesis has removed the major technical barrier to reverse engineering the work of others. Organisations such as iGEM are evidence of this, as they showcase the work of researchers, whilst businesses such as AddGene provide simple sharing of DNA backbones for a fee. Similarly, focus on the downstream requirements of protein expression optimization is already entering the open-source market, expanding the tools available to synthetic biologists with small budgets. On the other hand, manufacturing plant design and optimisation often remains unobtainable, held as trade-secrets rather than patented. The technologies behind high-efficiency protein manufacturing are rarely shared between agents in the market. Improved transparency within this industry would be to the benefit of all. We propose a radical model of pharmaceutical development, whereby investors may assist in the funding of both the development and set-up costs of a novel pharmaceutical, without the need of investing in a pharmaceutical company, via an open-source investment scheme. Potential investors that wish to contribute their funds to developing life-saving pharmaceuticals are currently forced to purchase stock in a major pharmaceutical company. We suggest that an alternative financial platform can be designed that offers investors the opportunity to fund the clinical trials of a novel open-source drug, pledging money alongside other potential investors until sufficient capital is obtained to proceed. 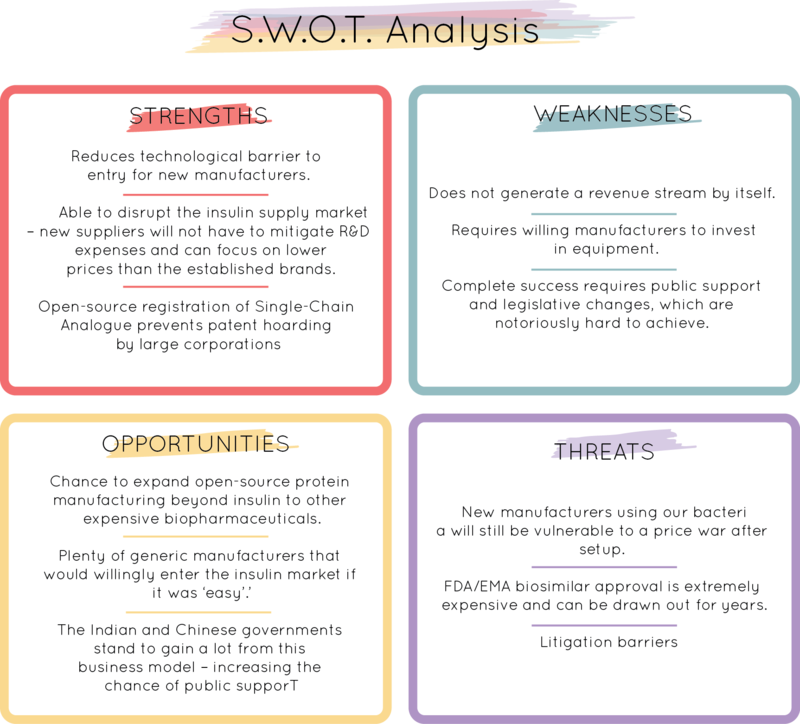 In this scenario, rather than the return on IP contributing to a single pharmaceutical company's profit margin, it can instead be divided between clinical trial investors and the developer of the IP. In this case, Return-On-Investment (ROI) must scale with the relative risk of the drug not completing clinical trials, however, this may still be significantly less than the ROI expected by public corporations. Furthermore, some legal protection would have to be established to prevent manufacturing of approved open-source drugs without a return contribution being made to the investors that helped get it approved. An additional new financial tool could allow investors to direct their capital towards necessary manufacturing facilities for setup and GMP approval of new manufacturing facilities. These new “Open-source Factory” funds could be combined with public investment to better overcome the challenge of economies-of-scale. Just like the stock exchange and investment banks, the aim of these financial tools is to help the market respond more effectively. A more traditional approach for marketing insulin while utilising Open Source technology would be possible with sufficient capital. In our case, we propose a competitive advantage could be found through facilitating efficiency of distribution of Human Insulin and Analogues. The global pharmaceutical distribution market is a maze of intermediaries, each adding a small profit margin to the final price. In this environment we suggest there is potential to utilise 21st Century online markets to improve distribution models. e.g. A click-and-mortar business that matches a diabetic’s insulin requirements to a specific wholesaler - cutting out all intermediaries and claiming a small portion of the profit margin. When considering the potential of starting up a company, we considered the current barriers restricting those from entering. Enormous existing contracts between governments and pharmaceutical companies can be used to leverage significant pressure to use a certain product in PBS schemes. USA, Europe, Australia; ~100m+ to disturb the status quo. For most developing nations, price/efficacy will be the major determining factor. Economies of scale favours existing manufacturers. Any new market entrant would be vulnerable to a price war after investing significantly in setup. A recent publication described three new Canadian manufacturers of a scale that we could conceivably build. Canada’s dollar is at parity with Australia, and provides an excellent model for start-ups in Oceania. COMPANY A has created a biotherapeutic that repairs tissue, and needs to develop a facility with analytical and research facilities. COMPANY C has an innovative new plant-based biotherapeutic manufacturing system that it is attempting upscale. The 10,000 ft2 greenhouse operates alongside a 4000 ft2 primary recovery suite where protein is recovered from biomass. Since a lot of these prices are dependent on how much GMP and Non-GMP approved space a manufactuer has, its quite hard to tell how much starting an insulin manufacturing plant would be. Furthermore, annual compliance and operating costs would (hopefully) be covered by revenue streams. However, As a result of realising these upfront, and continued costs, we've come to the understanding that developing a manufacturing plant on our own is not a viable option. Serious investment or an agreement with a current up and running manufactuer is rewuited. The sheer scale of the insulin market (600m+ potential patients) allows economies of scale to play a major role in the competitiveness of individual players. Without enormous investment capital, any new manufacturing facility will be too small to make a significant impact on the insulin market and may be unable to produce at a low enough cost to survive. As such, if we were to choose to become insulin manufacturers - we would need enormous initial capital to have any impact on the market supply. Governments provide a functional alternative to corporate manufacturing, as they can justify investment in research and manufacturing that offers a lower potential profit margin (or even a loss). Analysis of trends and forces within the international manufacturing market exemplifies two nations already investing heavily in expanding local insulin manufacturing. 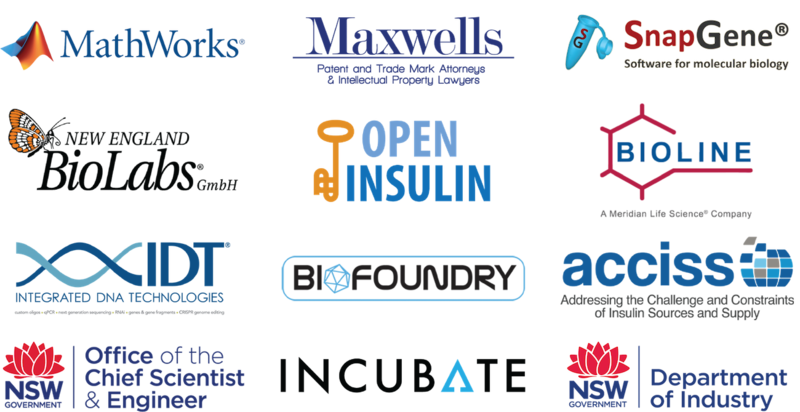 The Open Insulin project requires the backing and cooperation of national governments to truly demystify the insulin market. Once we’ve established ourselves as a possible alternative to the established pharmaceutical brands, a strategic alliance for public funding would be an ideal outcome. Diabetes mismanagement is an international health crisis, and it is within the best interest of national authorities to invest in programs such as ours. DODELET, J.-F. 2008. Construction and Start-Up Costs for Biomanufacturing Plants. BiopressInternational.